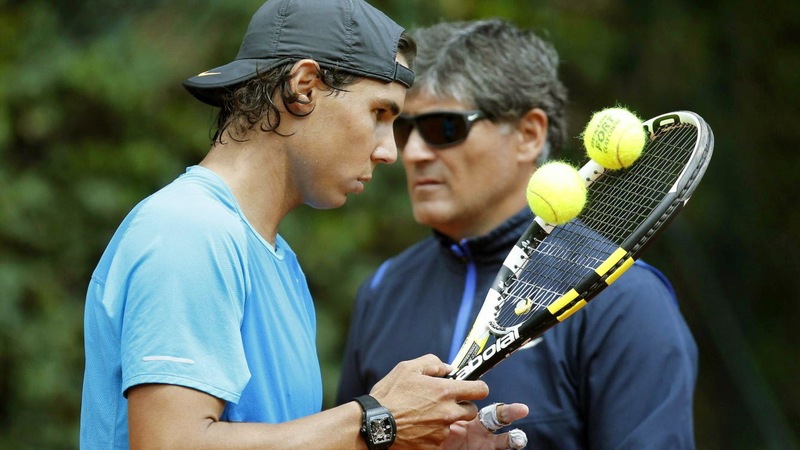 Toni Nadal: "Rafa can return to be the best. Messi ceased to be and has recovered." Rafa Nadal is not the same and to deny it is to deny the evidence. For some time the ease with which he was adding titles to his resume has turned to pain to get the same old results, if he does get them, because the title in Buenos Aires was the first since winning his ninth Roland Garros. Nine titles and then a nine months break. It's everything or nothing for a player who has himself been accustomed and we have become accustomed to winning almost every two weeks, or at least every month. What happened to Nadal? Is it physical, is psychological? It is impossible to find someone who knows him better than his uncle Toni Nadal, with whom The Confidential had a chance to talk exclusively. For Toni Nadal the problems are not physical, something he has been dealing with since 2005 when he first suffered from tendinitis and inflammation in his left foot, the first serious injury for the Spaniard. "These things I think are always mental. When the head is not right it affects the physical aspect and the nerves, and vice versa, of course." "But the key for Rafael is not psychological, as he worked on mental strength for a while, it is the lack of "continuity in the game". All of his life Rafa has based his success on being consistent and it has been missing this past season. Re-entry into the competition has cost us more than usual and we have been paying." However, that victory in Argentina helps restore confidence, to feel better and better. "It was a morale booster. I do not know enough to address the tournaments in Indian Wells and Miami [next on the calendar Rafael]. Early in the early season we lacked continuity and a little confidence and we are slowly regaining both. Rafael has had several ups and downs. It began in Doha, for example, a tournament that he usually plays well in, he was off balance in two games and could not catch up." "In Australia the same thing happened," Toni Nadal continues. "It happened a few times in various tournaments and the day against Berdych a disaster in straight sets. In Rio it was the same: we trained well, were playing normally, more or less, without fanfare, but fine. And in the match against Fognini , winning 6-1 as he did in the first set and 1-0 'break' and 2-1 'break', he could not put pressure on and the game got away ...and again doubt crept in." "Of course, these negative results, which have occurred in such a strange and very unusual way in the game of Nadal put "obstacles in your head and you have more and more doubts." After nine months away from competition, injuries, doubts, problems, the great triumph came as Toni says. But for a champion like Rafael it is not something the current world No. 3 assumes "naturally. "When you do not win, everything can be explained. Either you're not playing well enough or have ceased to be good. And as for the rest, you always have misgivings." And of course, as he talks about the problems that are facing Rafa Nadal, when there is uncertainty about his game, or when he tries to attack to close a match, the question is obvious and necessary: has he ceased to be the best? "I hope not. But if this year ends on the 15th, as he will be longer be one of the best and if he is just the 2nd, he will still be among the best. But sport is not stable, it never is. Is Messi still the best? He is no longer the great Messi from before. Now he has recovered and is again a very good guy. And now Cristiano is not in top form and if he continues to have a bad season, we may think that he no longer the same. The situations are always changing," says Toni. Roland Garros is just around the corner. The great event of clay and what is commonly known as Nadal territory will begin on May 19. And for the Spaniard there is reason for concern. Will he win the tenth or suddenly fall as he did in 2009 against Söderling? Is Nadal afraid of Roland Garros? "The year he did not win Ronald Garros was not a bad one at all. We had been playing very well. He had won the Australian Open and tournaments on clay. In France he had knee problems and everything went downhill. Was it difficult that year? Every year is difficult, of course. In the last they were two or three and now we have ten very dangerous players," said Toni Nadal. In fact, Toni Nadal gives us some hope for his nephew, who has never paid him to train him and always tells him straight what he thinks. Remember that "last year was very difficult. We arrived in Madrid having played badly but winning against Nishikori, but then got defeated in Rome, lost against Almagro in Barcelona and fell to Ferrer in Monte Carlo. We got past the many defeats and eventually won. Rafael regained his level and was playing pretty well and had a good tournament." We will see his development start in Indian Wells, which begins Monday. But if he has reached the level he needs to return to what we will see in 71 days in Paris.